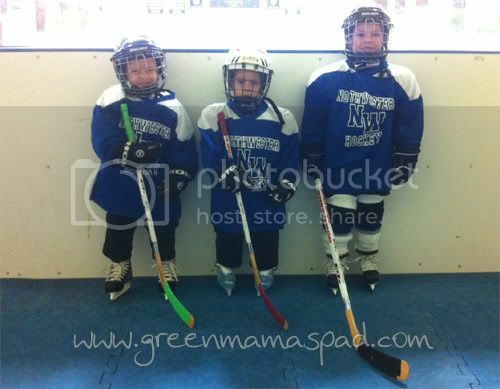 My 3 little hockey dudes. Can you see the not to happy face in the middle there? The 6 year old. 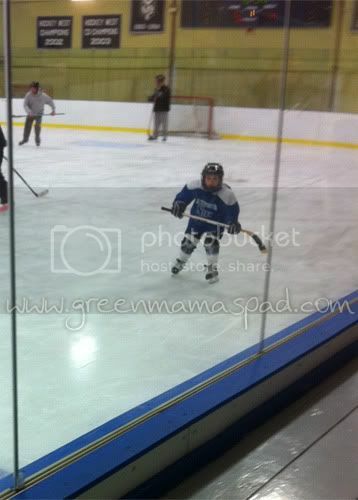 This year he moved up from Intro to Mites Novice. A fearsome trio for sure! Hockey beats video games!! Great photo. Aw! This kind of makes me wish I had a boy! 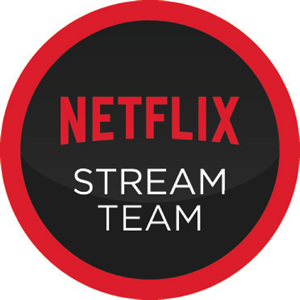 Well, I really hope that they stop screaming and start liking it soon! The look so cute in all their gear! My husband would be in heaven if our boys wanted to play hockey! Cuties! Looks like they sure do love playing hockey! Great action shot! my husband plays hockey and can't wait until our boys are old enough to play too! How fun! The nearest place my kiddos could do hockey is like 45 mins away. They look so cool! How awesome that they can all share a sport together , I bet they'll have some great memories from it! I remember growing up in Edmonton, AB, and there being a community hockey rink in every neighborhood. They look tough. My boys always wanted to play but there wasn't an ice rink close enough. Hockey is such a great sport and a hard one to boot! Awww, they are soooo cool! I love Hockey! awww, I love the line up! how fun! I hope my daughter can start hockey in about 2 years! They are super cute. I tried ice skating one time. I went around the rink one time, then I took those skates right off. How cute theya ll are! My son wants to play Ice Hockey, but too exspensice here in South Florida! Great pictures! We are a hockey family too. They're so cute! They look so small in all that gear!